One of the cutest friendship quotes is here for you to share and express your opinion on friendship. This friendship picture speaks the difference between true and fake friends. Through this picture let your friends know the value of friendship. The picture portrays the friendship message "True Friends Cry when you Leave. 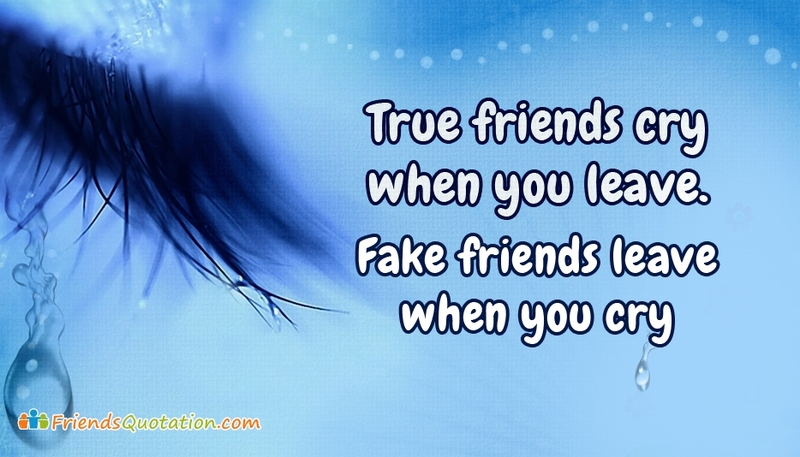 Fake Friends Leave when you Cry".